An herbal supplement that is becoming increasingly popular in the United States is saw palmetto. While this type of treatment is more common in the countries of Europe, it is growing in popularity across the United States as well. It is known for treating prostate and other urinary tract symptoms and can be used for a variety of home remedies. The scientific name of the plant that saw palmetto comes from is Serenoa repens, although it is also often know botanically as Sabal serrulata and in some cases is known as palmetto and sabal. Saw palmetto happens to be an extract that comes from the berry that is dried and ripe from the America dwarf palm tree, which is known as the Serenoa repens. The southeast of the United States is one of the main sources of this herb and it is being commercially grown at this point as the reputation of this herb is built. Today the harvesting of these berries is a huge industry and more than 2000 tons of these berries are even being shipped off to Europe for their herbal supplement market. 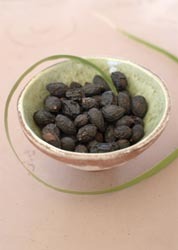 Saw palmetto can be ground into powder that id put into capsules or a tincture form. With capsules, you can start out by taking 2-4 capsules each day and by tincture it is recommended to take 1-2 teaspoons daily. Throughout history saw palmetto has been used in various forms of traditional medicine. The Aboriginal Americans used this herb to help treat problems with the reproductive system and urinary tract problems. The Mayans also used it as a tonic and the Seminole Indians used it as both an antiseptic and an expectorant. Some of the other uses historically include treatment for pain during menstruation, a stimulant for appetite, increased lactation, and a treatment for women who were infertile. Today saw palmetto is one of the most popular herbal treatments for men who are dealing with benign prostatic hyperplasia, which many older men deal with. It is also suggested to be a treatment for men who are dealing with hair loss. In some cases, saw palmetto can have some of the same effects that hormones do, so it shouldn’t be used in women who are nursing or women who are pregnant. It shouldn’t be used by women who have a high risk of developing cancers that are hormone related. Side effects with this herb are quite rare, although in some cases headaches and mild stomach problems can occur.